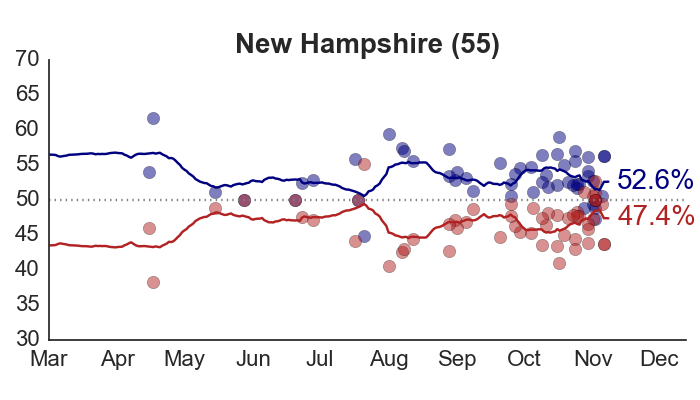 If anyone tries to tell you the presidential race is close, don’t believe it. 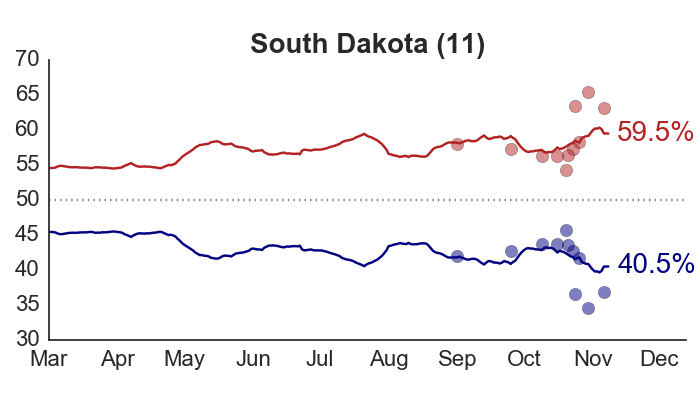 It’s just not true. 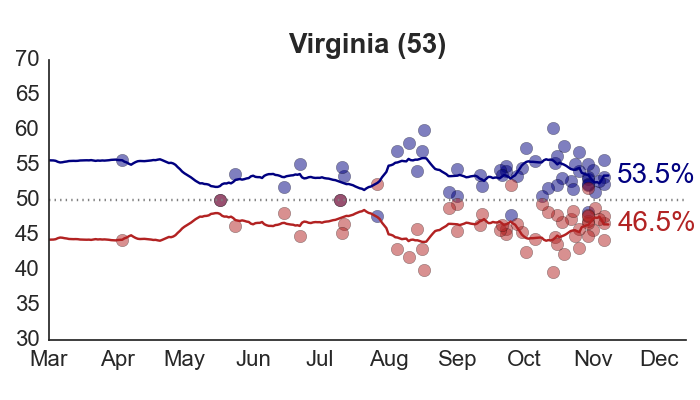 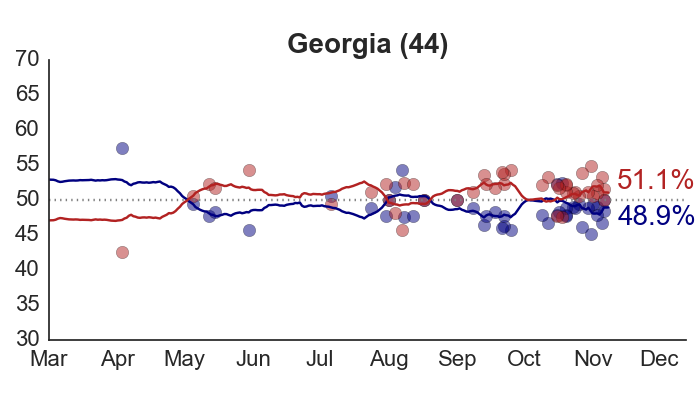 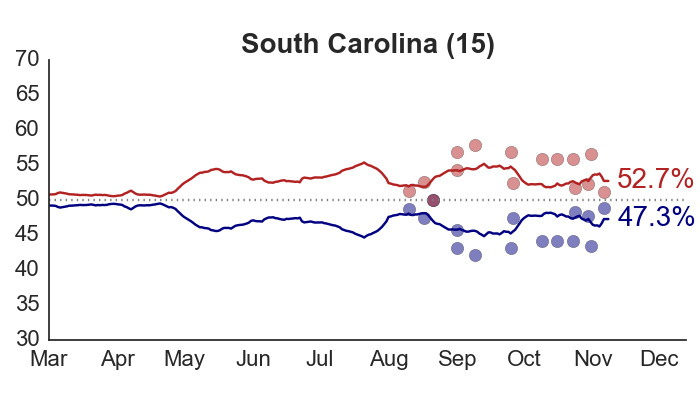 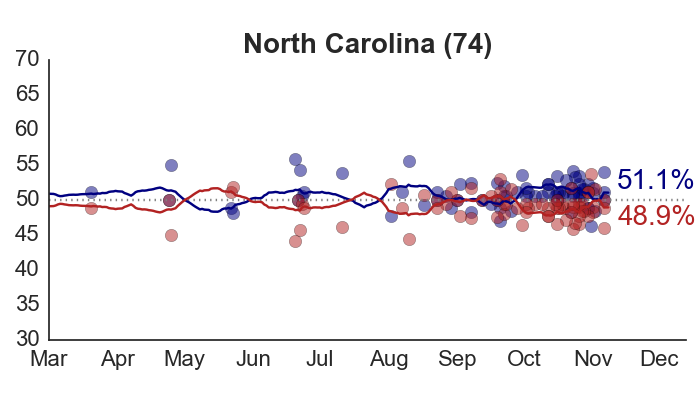 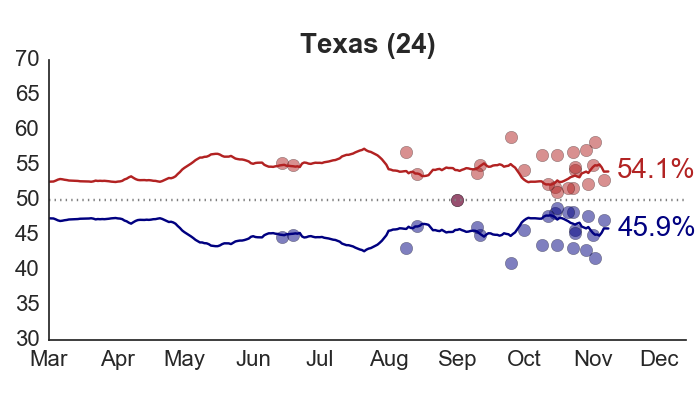 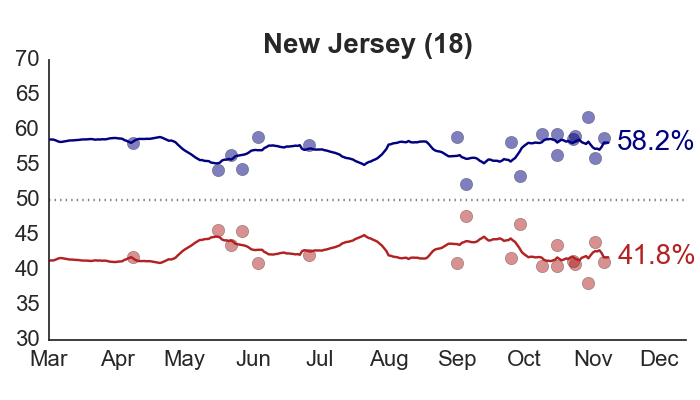 With the debates beginning tomorrow, Obama’s September surge in the polls appears to have finally leveled off – but it has moved him into the lead in every single battleground state, including North Carolina. 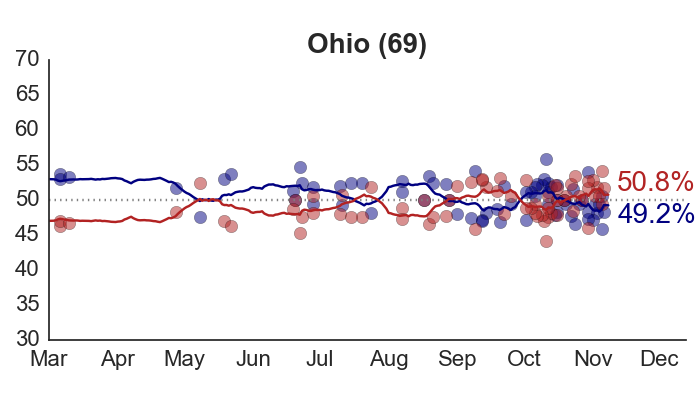 If the election were held today, my model predicts Obama would get 52% of the major-party vote in Florida and 53% in Ohio. 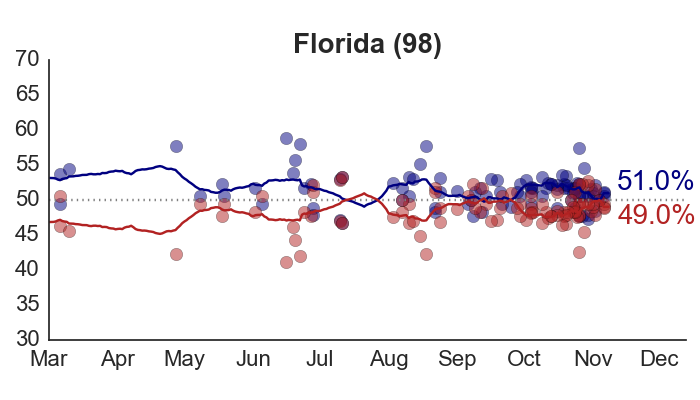 If Obama wins Florida, there’s almost no chance Romney can win the election. 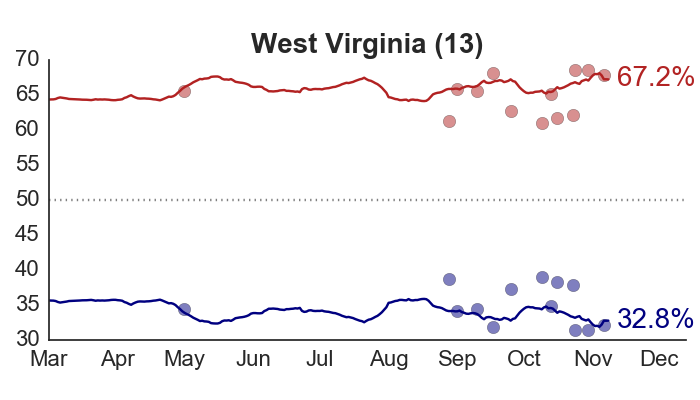 If Obama loses Florida but wins Ohio, Romney’s chances are only slightly higher. 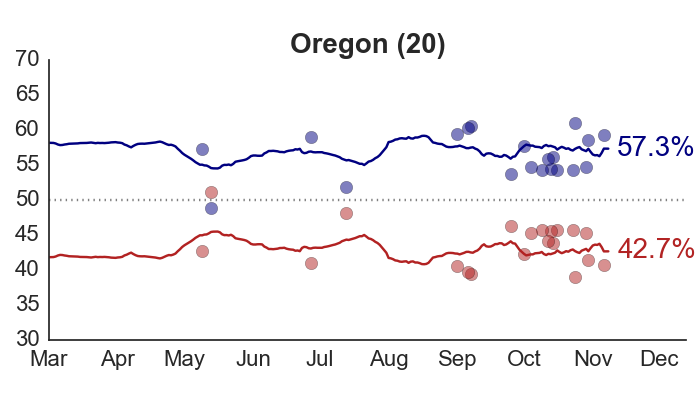 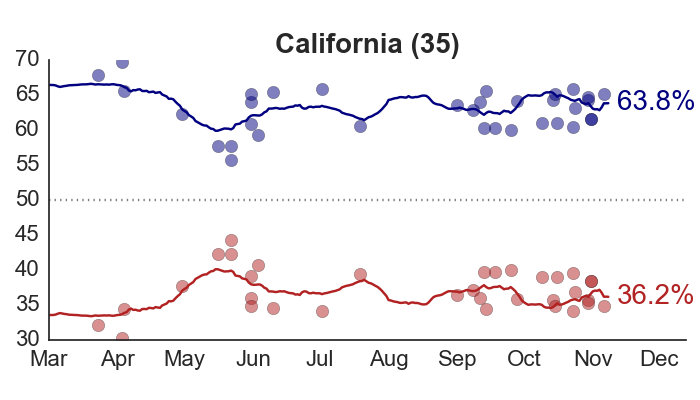 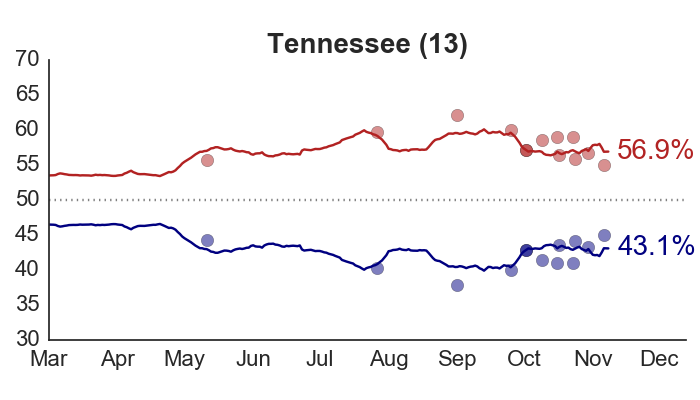 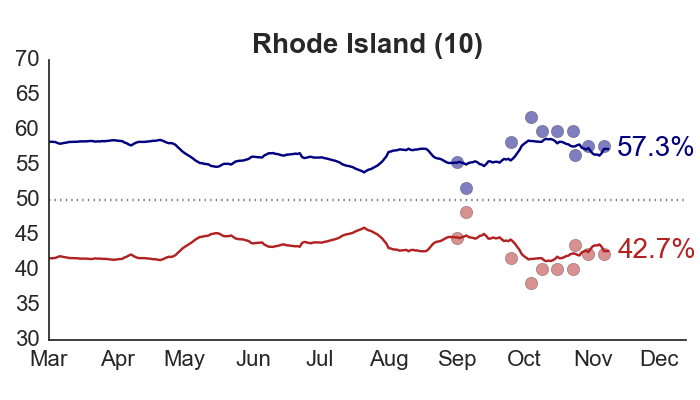 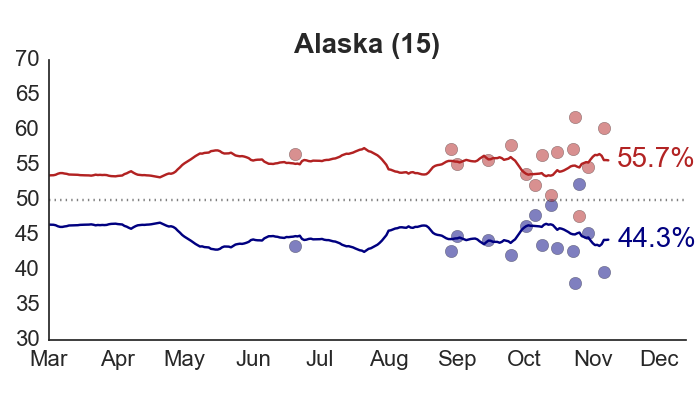 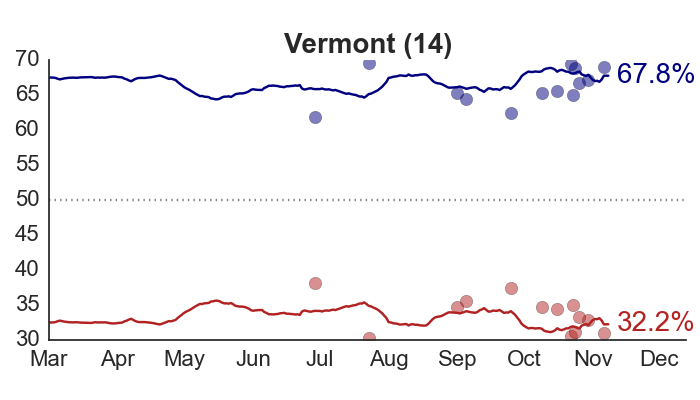 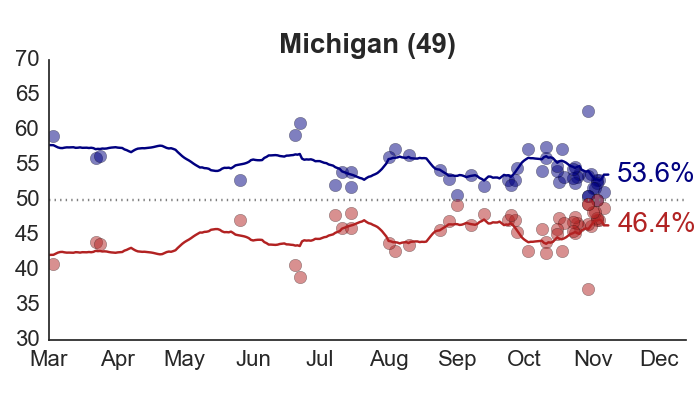 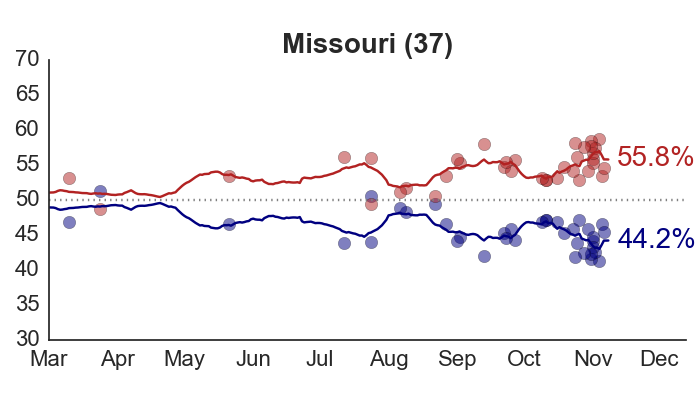 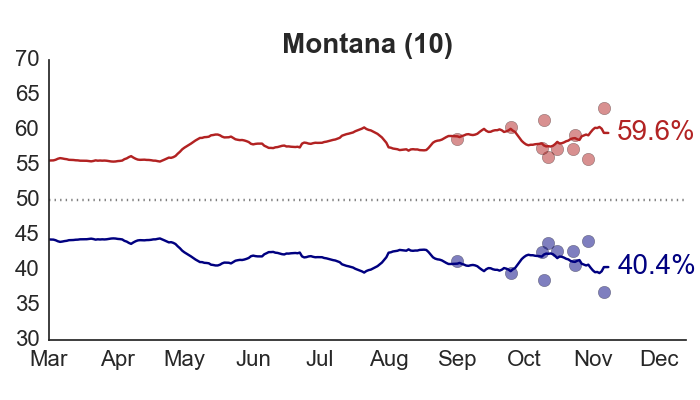 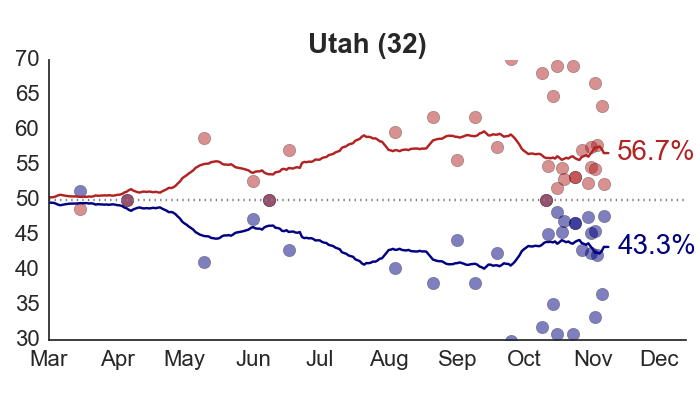 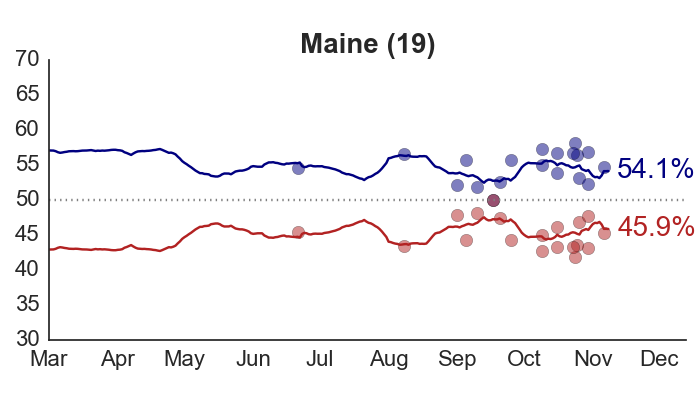 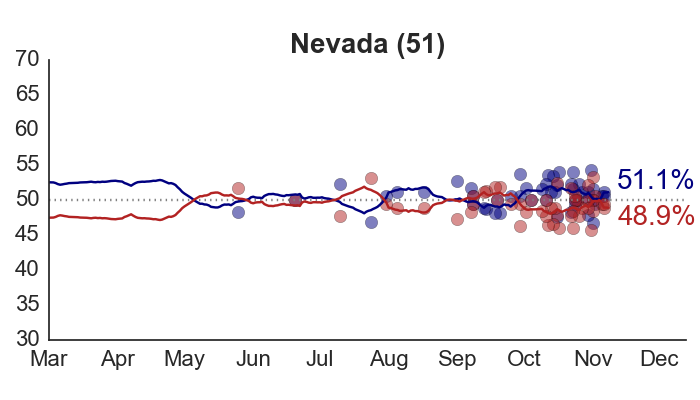 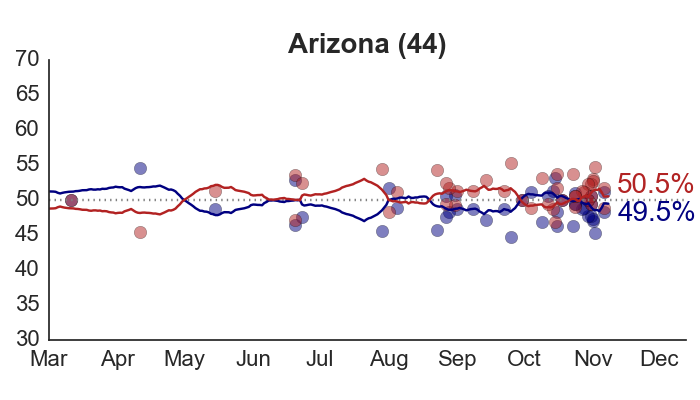 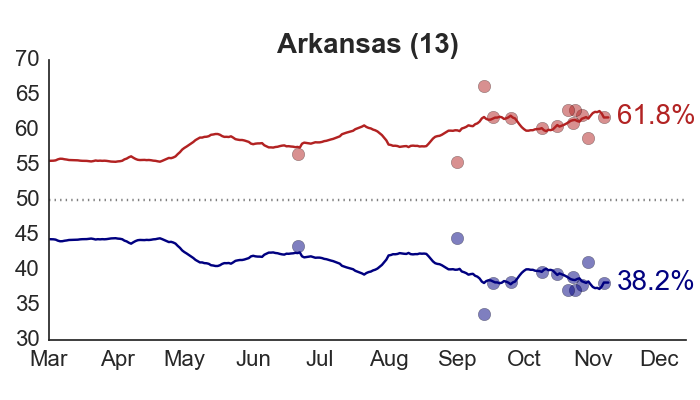 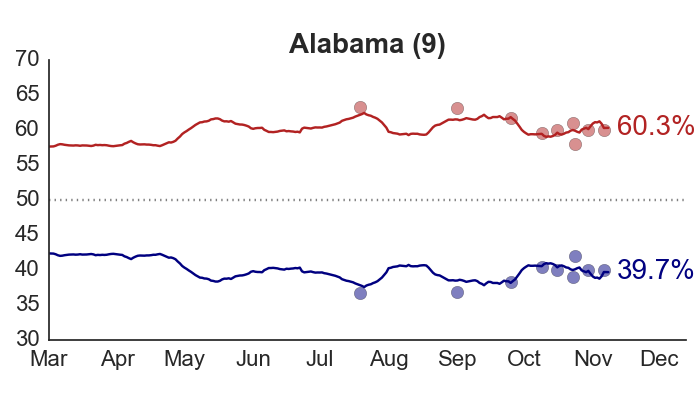 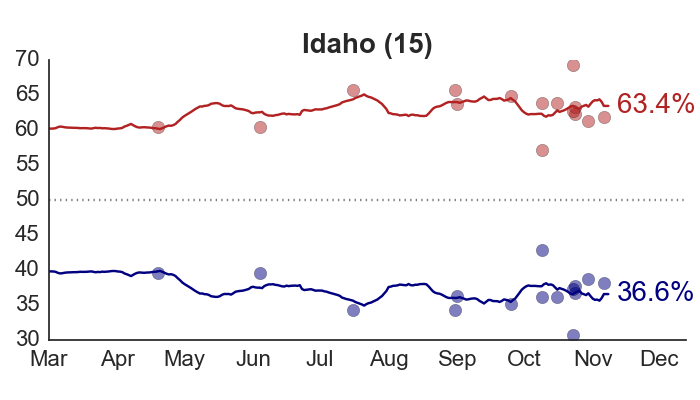 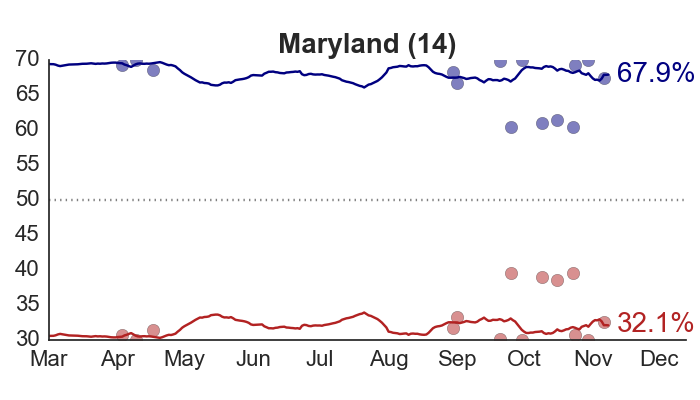 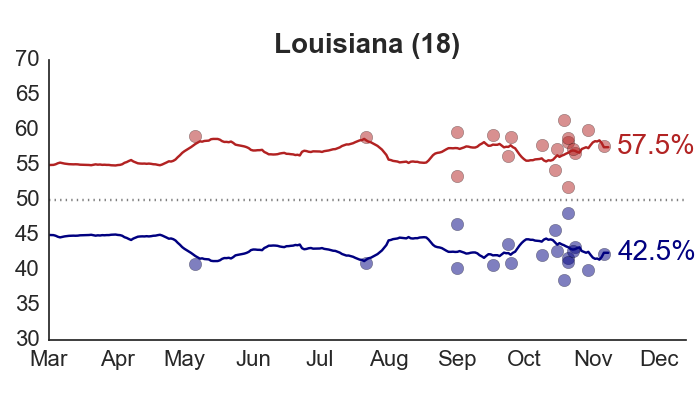 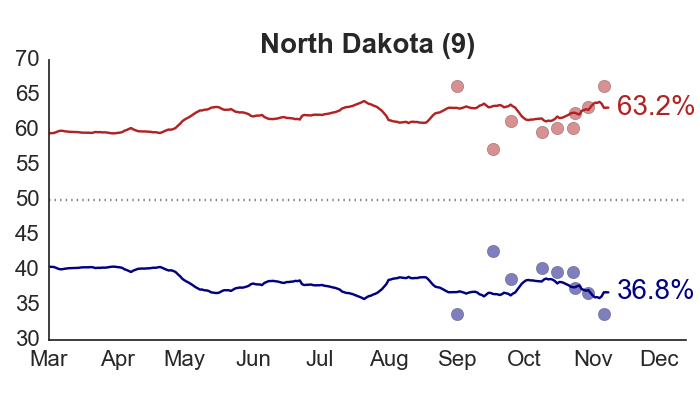 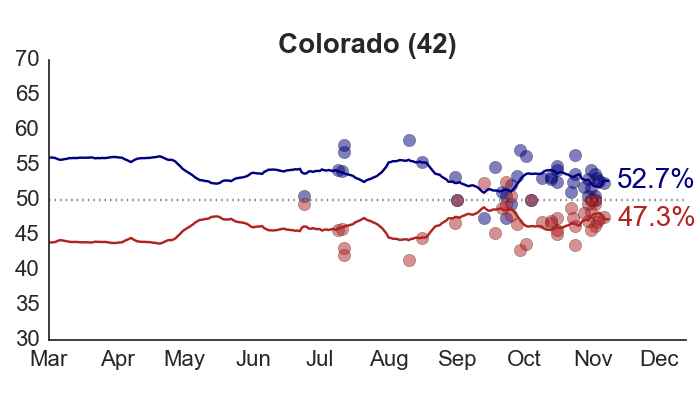 Romney has to be hoping for a very large, and very consistent swing in opinion across a large number of states. 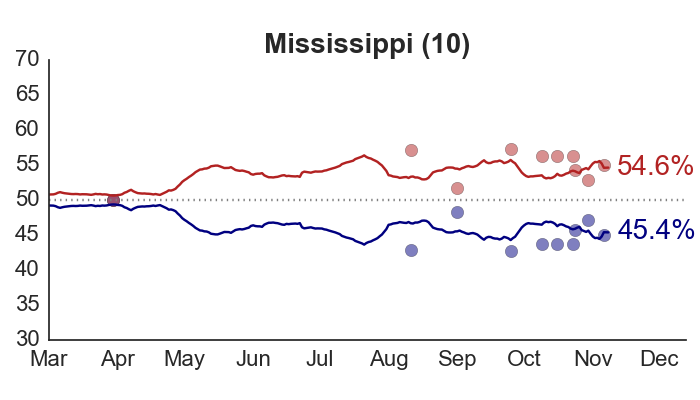 The shift will have to be over 2% – which would be as big a change in voter preferences as we’ve seen during the entire campaign. 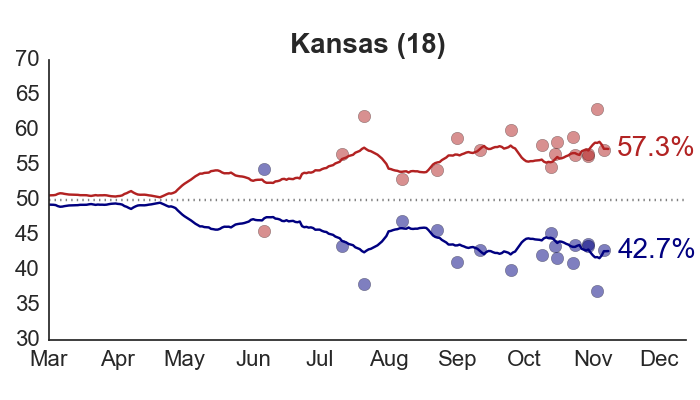 And it will have to begin immediately. 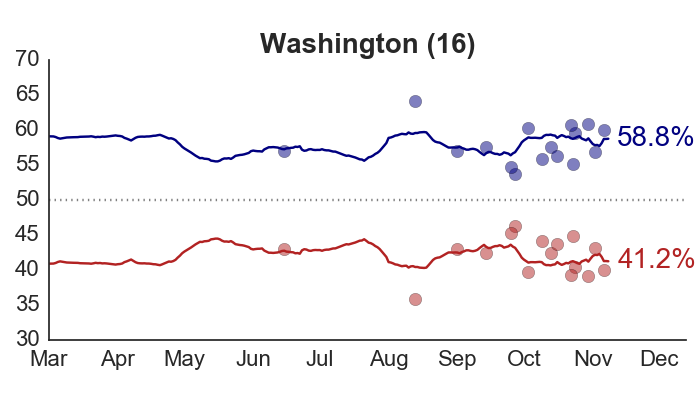 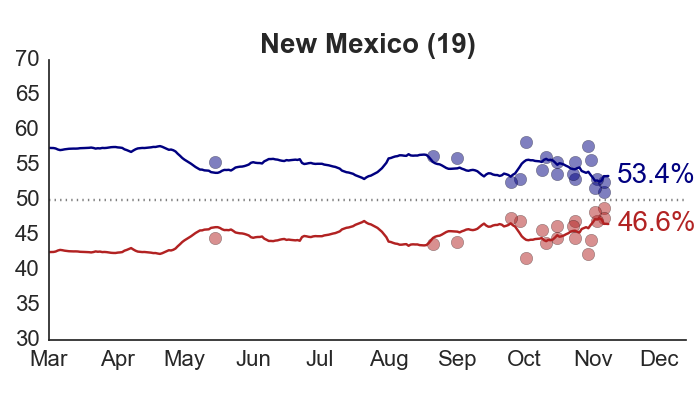 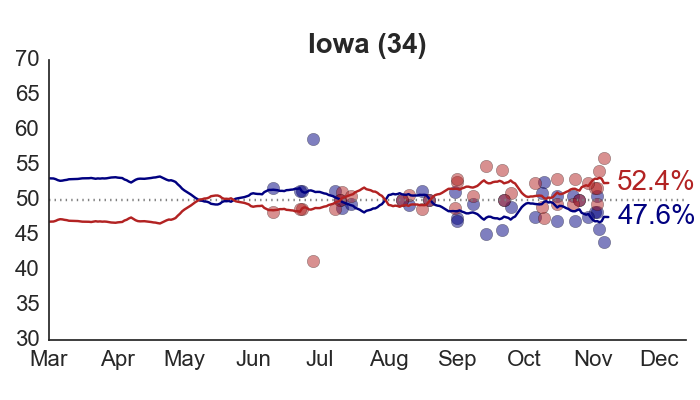 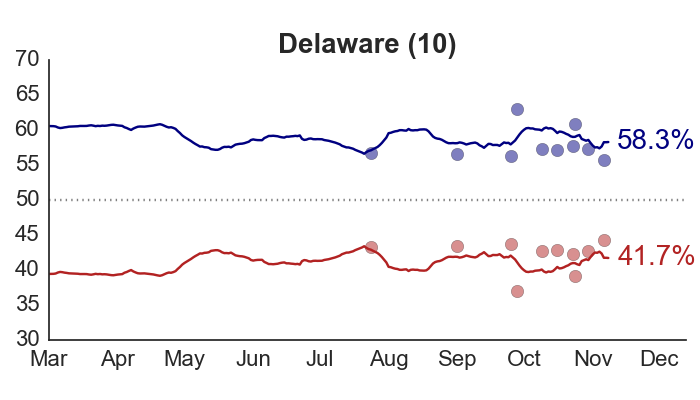 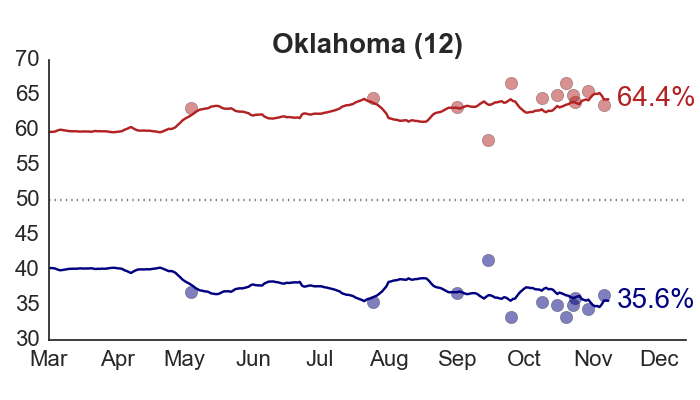 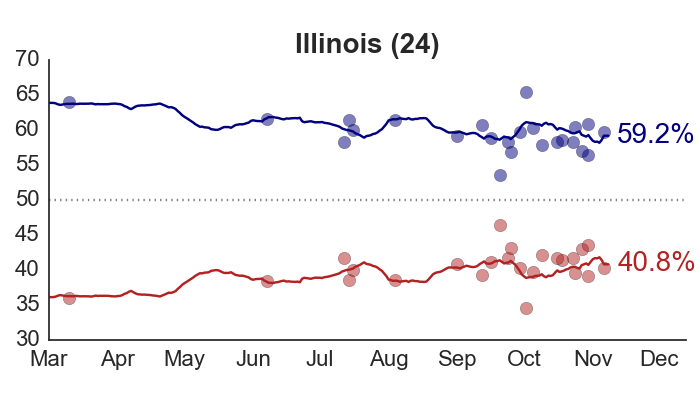 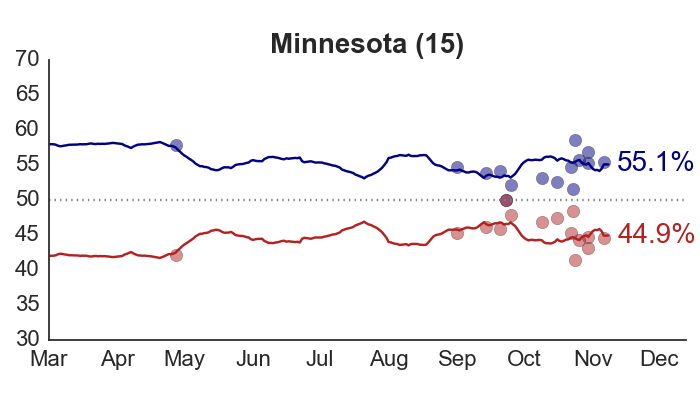 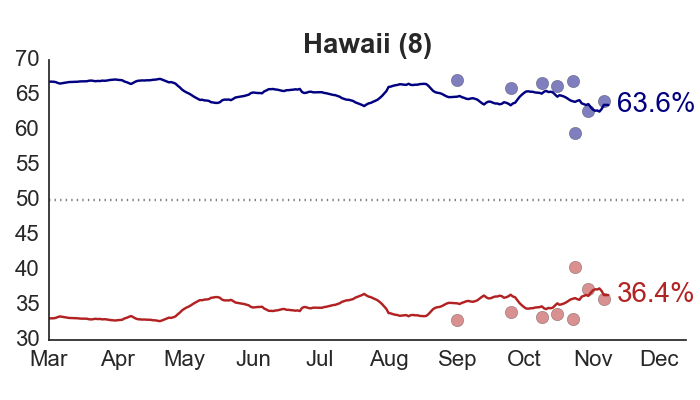 Post-RNC, it took just under one month for Obama to gain 1.5%-2% in the polls. 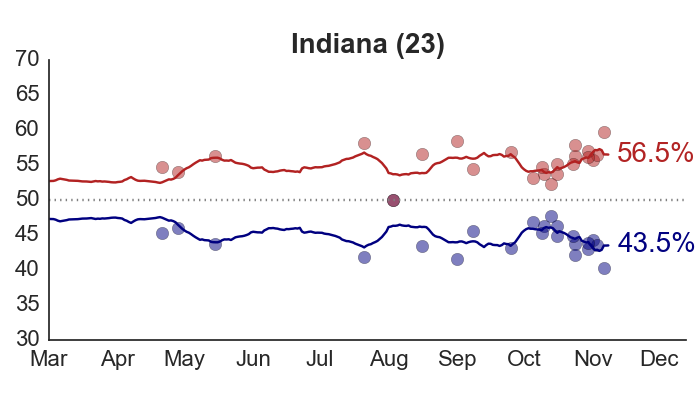 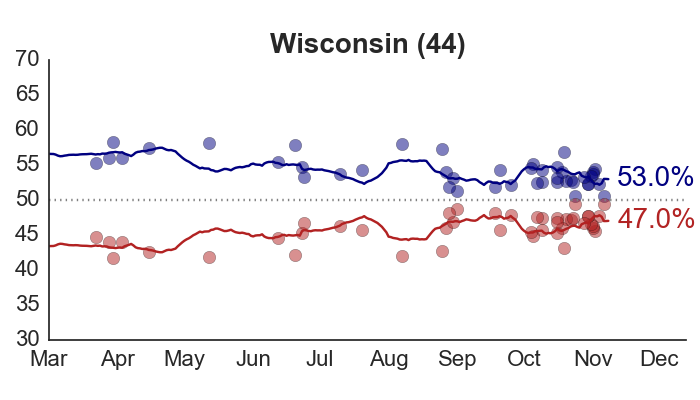 Romney has just over one month to undo that trend, and more.